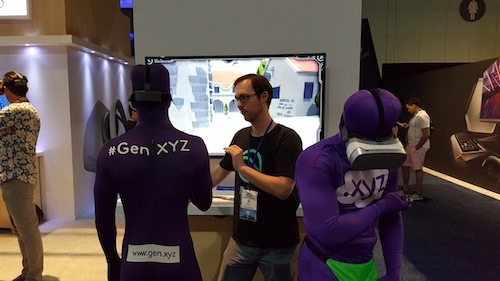 E3 2017 was an exciting new experience for XYZ, drawing just under 70,000 people from around the world. Industry professionals, gaming journalists, and passionate fans alike gathered in the Los Angeles Convention Center to get hands-on with the future of video games. 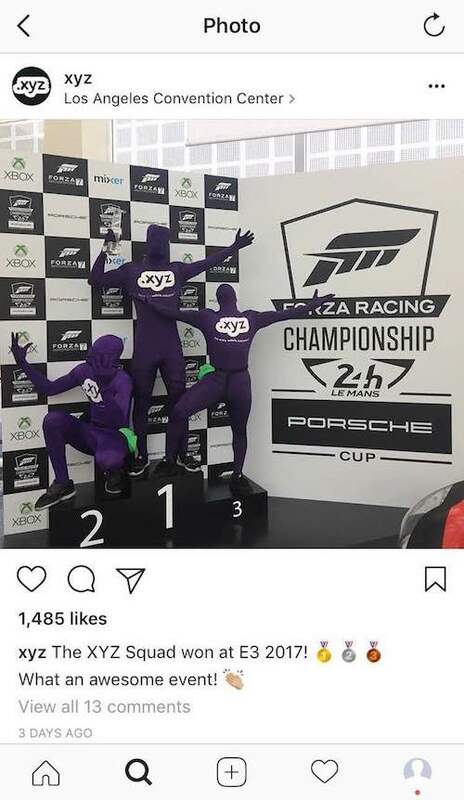 But the real star of the conference was the #XYZsquad, who danced their way into the attendees’ collective hearts. 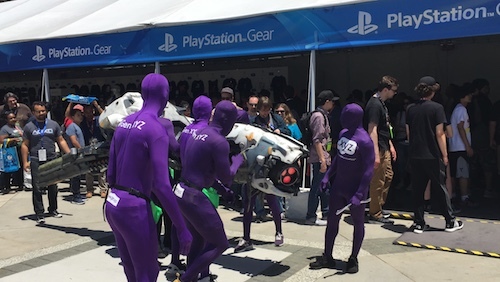 The XYZ purple people were on site to hand out some limited edition XYZ swag, inform the gaming world that .xyz is for every website, everywhere, and challenge all those die-hard fans to a dance off. 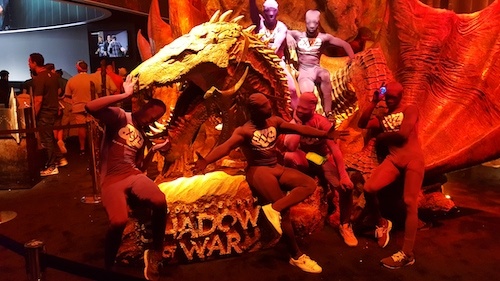 But between dance sets and posing with cosplayers, #XYZsquad managed to take in some of the best sights E3 had to offer. And shut down E3 with a set at the Shadow of War booth. 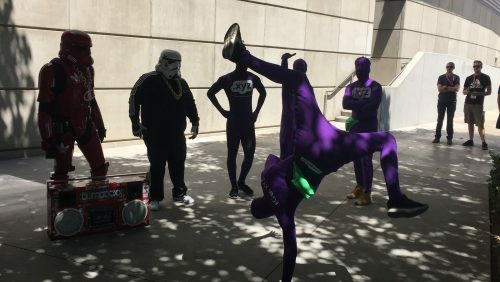 The #XYZsquad had such a good time at E3 2017, we’re already looking forward to next year’s convention. With the gaming conference down, the XYZ Team is looking ahead to the summer. Not just for a chance to escape to the beach, but for all the exciting events we have in store. Want more details about our events and dance battles? Stay up-to-date with all the XYZ news by signing up for our newsletter and following us on Twitter, Instagram, and Facebook.